Quote of the week: ?There?s a message there for the free to air networks. Take note of the fervour of the fan base, both here and overseas,? 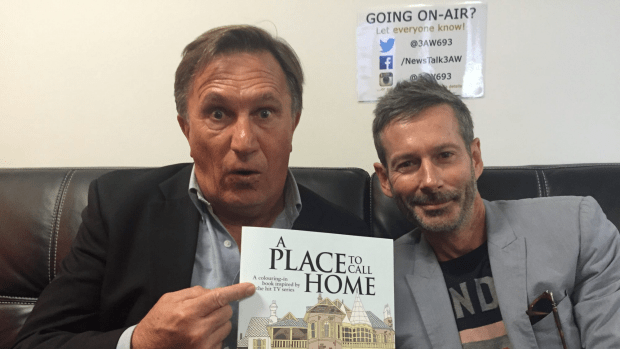 says Frankie J Holden, star of Foxtel?s A Place to Call Home which returns next month for Season Four. Foxtel picked up the period drama when Channel 7 dropped it and the lovingly produced show continues to impress both locally, across Europe and in the US. A Place To Call Home is back! ?It?s great to be involved with a show where the audience has had a say,? says Holden. By the way, how many tv shows inspire their own colouring-in book? I know of one. A Place to Call Home: a colouring-in book has been illustrated by Daniella Germain and released this week. Get well soon to divine designer Jacob Luppino, one half of couture kings J?Aton. He?s undergone major kidney surgery and has been recovering at Cabrini Hospital. There were even a pile of pretty birthday treats brought in for his birthday celebration. Luppino and Anthony Pittorino are known for creating some of the most extraordinary gowns in recent history. They have dressed many a celebrity including Rebecca Judd, Holly Valance, Asher Keddie and Dannii Minogue. Who has helped teenage Carlton footballer Jack Silvagni deal with the pressure of being the son of AFL legend Stephen? His mother Jo Silvagni tells the tale that in Year 7, Jack interviewed Cathy Freeman for a school project. He learnt from the Olympic legend how to deflect the ?peripheral pressure.? Now he?s in the spotlight and coping well, according to mum. 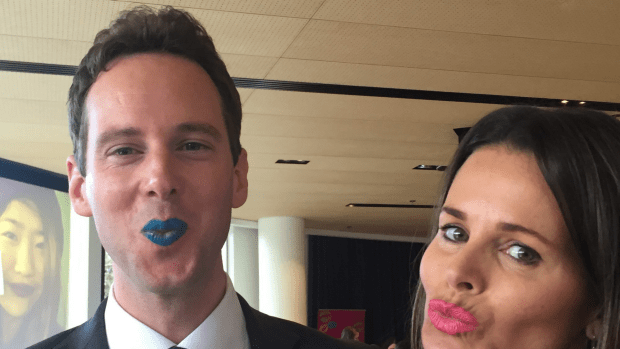 Jo Silvagni was one of several Liptember ambassadors at the launch of the charity drive at Fenix in Richmond. Spotted: Former police chief commissioner Christine Nixon wandering around Southern Cross Railway Station in the City. Dearly departed Fay Duncan AM, mother of Deborra-lee Furness, will be farewelled at St John?s, Toorak on Thursday September first. Furness and her husband Hugh Jackman spent time this month with Duncan, a tireless charity worker for the Fight Cancer Foundation and founder of the Red Ball, which of 24 years has raised millions of dollars for cancer sufferers. She was 81 years old. There?s bound to be massive interest in this gig but why do I get the feeling good people are hard to find. Attica is hiring! The supreme restaurant is keen on an enthusiastic, passionate dedicated and experienced Front of House staff member. The successful applicant must have the ability to legally work in Australia on a long term basis. Hmmm, interesting. Spotted: Getaway presenter Catriona Rowntree frolicking in the hallway of Crown Towers with her two young sons. What a mighty fine gesture from dapper fashion blogger/entrepreneur Dalton Graham (www.thetailoredman.com.au) who noticed a young woman and her mum (visiting from the Philippines) amongst the massive crowd at the Vogue Fashion Night Out gala to launch Melbourne Spring Fashion Week at Melbourne Emporium. They were not seated but hovered excitedly behind the VIP?s to watch the runway. Graham turned to the ladies when the final model had left and handed them his goodie bag brimming with lovely stuff. That is all style, I say.